Dr Warren McDonald is a sport and exercise physician in private practice in Deakin and was a doctor with the Australian Olympic team at the 1996 Atlanta and 2000 Sydney Olympics. He is currently the Chief Medical Officer for Australian Rugby. Warren is an Adjunct Associate Professor in Sports Medicine, School of Health Sciences at the University of Canberra and has authored and co-authored numerous publications on a variety of sport and exercise medicine topics. He has a keen interest in teaching and promoting physical activity to children in the Australian Capital Territory. 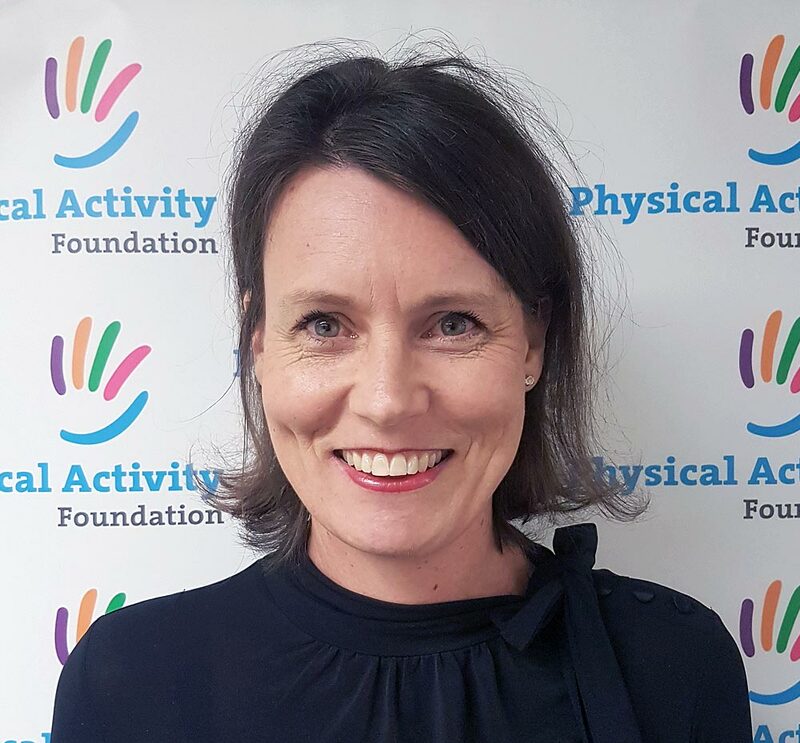 Lucille is Chief Executive of the Physical Activity Foundation and has over 10 years of experience in Partnership management, working in both Sponsor and rights holder roles. Lucille has lead Partnership programs with Transport for NSW, local organisations iiNet (formerly TransACT), ActewAGL and Basketball ACT and believes that well aligned Partnerships can be an integral part of every organisation’s success. Lucille is a Women’s National Basketball League Life Member and former Opal, mum to 7 year old Finn and commutes from her home on the South Coast each week, where she & her husband Colin co-own and operate The Escape – a luxury camping business located on the Clyde River, Shallow Crossing. Lucille is a great and outspoken ambassador on physical activity for everyone and is passionate about helping get all kids, more active, more often! Shaun Creighton is a senior intellectual property and commercial lawyer and has acted on a wide range of large scale technology transactions for the Australian Government and for ICT vendors. At the other end of the spectrum, Shaun has assisted numerous start-up technology companies with a range of legal tasks ranging from protection of IP, drafting founder agreements and drafting suites of operational agreements. Shaun has worked as in-house legal counsel with the Australian Sports Commission, the Melbourne 2006 Commonwealth Games Corporation and Airservices Australia. Outside the office, Shaun is a well known and respected sports person, having competed in long and marathon distance running at no less than two Olympics and four Commonwealth Games. Shaun is an excellent time manager and amongst his many commitments, prioritises spending time with his young family. Stephanie brings a broad & diverse package of experience & expertise to the Foundation Board – as a busy mum to 3 young children, Partner at local law firm Meyer Vandenberg & with an elite basketball stint with the Canberra Capitals from 1994 to 99 to her name. Stephanie is an experienced procurement and probity adviser with over 8 years probity and procurement experience advising clients including in major Commonwealth and ACT Government procurements. Stephanie successfully completed the Institute of Arbitrators and Mediators’ (IAMA’s) Probity Services Provider (Procurement) Course. Stephanie is also a partner in the firm’s property group and is responsible for facilitating high level procurement and sales work including sales for private developers, the LDA, Public Housing Renewal Taskforce and Asbestos Taskforce (Mr Fluffy).